Rec Room plans to hold quarterly events showcasing musicians, artists and service providers from the Hanoi scene. We’d like to present recorded works and merchandise of musicians to help create new revenue streams, and to promote increased awareness of the activity taking place across the city. With the purchase of every ticket you also purchase a compilation of bands involved in the fair. This will be delivered as an exclusive code to download a high quality file with the art work included. Nối means ‘Connection’ in Vietnamese and we want to grow together in this music scene. A Night of Ballet “Bolero & Suite en Blanc”, featuring artistic director - Meritorious Artist, Tran Ly Ly, and dancers from Vietnam National Opera and Ballet. “Bolero” is a play that shows simplicity but power from beginning to end. You will see the power of the artists through their simple but inspirational ballet moves. Meanwhile, the romantic ballet “Suite en Blanc’ shows the beauty, perfection and elegance of the classical ballet language through strong and powerful body language of the male and female artists, providing audiences an unforgettable evening. Featuring the international choir Hanoi Voices bringing you classic music pieces of France and Vietnam. 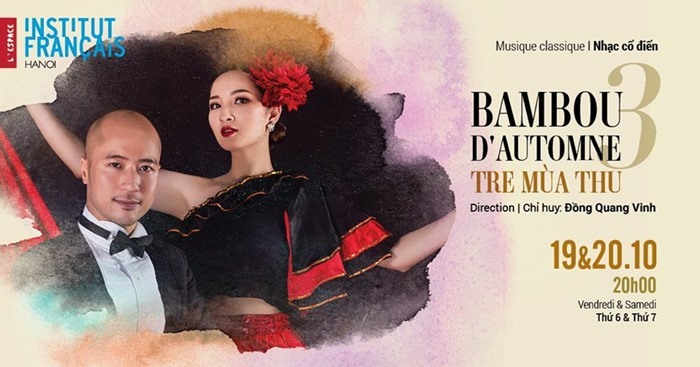 Under the baton of talented conductor, Dong Quang Vinh, you will get to enjoy familiar Vietnamese music pieces and excerpts from the famous “Carmen” musical by French composer Georges Bizet. 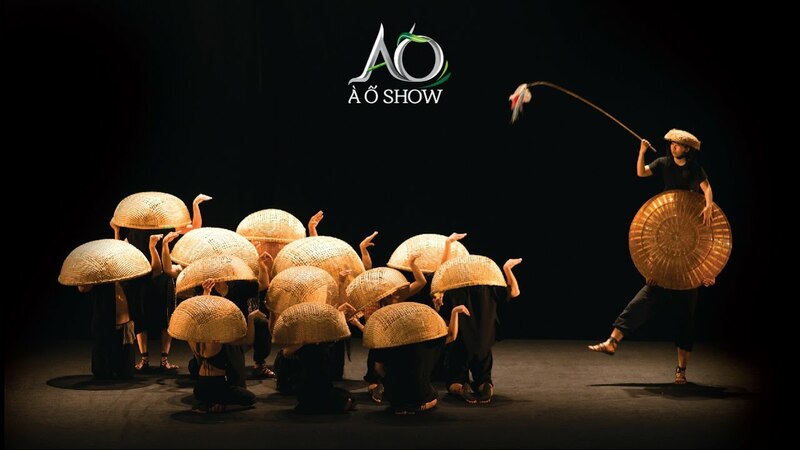 “Autumn Bamboo 3” promises to be a special concert night for both adults and children. The exhibition engages the viewer into a deep contemplation of one’s silent interior world. Words scribbled in charcoal, washed away by vanishing pigment, sand and ink, submerged in earth, echo whisperings longing to be heard. Through the exhibits, Vu Dinh Luong uses lacquer as an appropriate medium for rural scenery, as a means to convey stories through paintings. 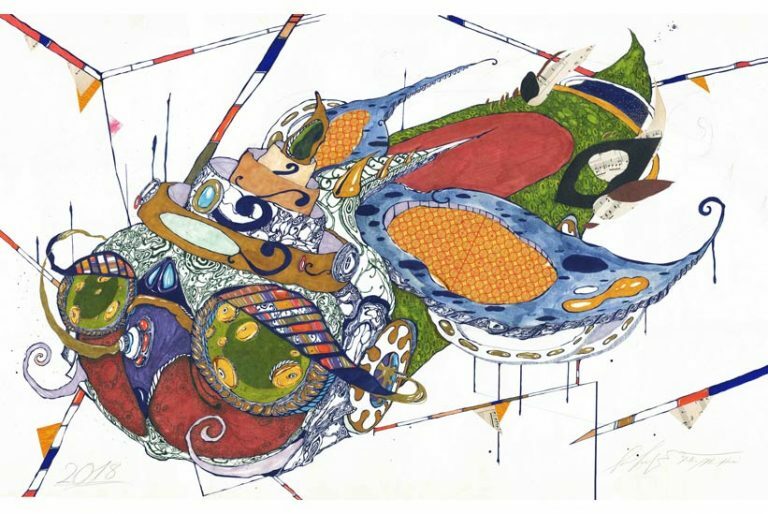 His art evokes feelings rather than descriptions. Impressionism is visible not only in the lacquer but also in soft, watercolour paintings illustrating nature, while oil and acrylic paintings give out a stronger, more impressive feel. 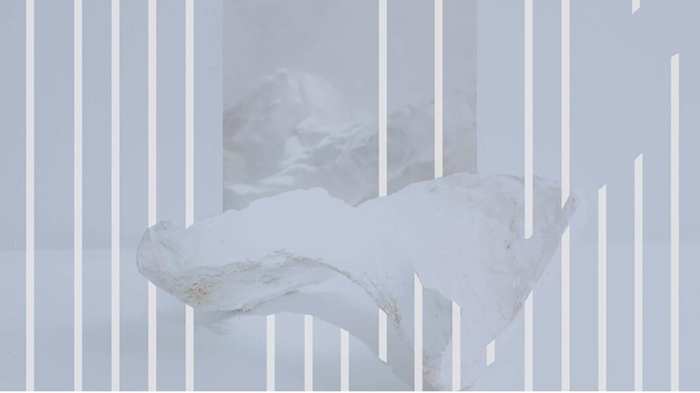 A duo exhibition featuring a collaboration between visual artist/filmmaker, Truong Que Chi and architectural studio, vn-a.